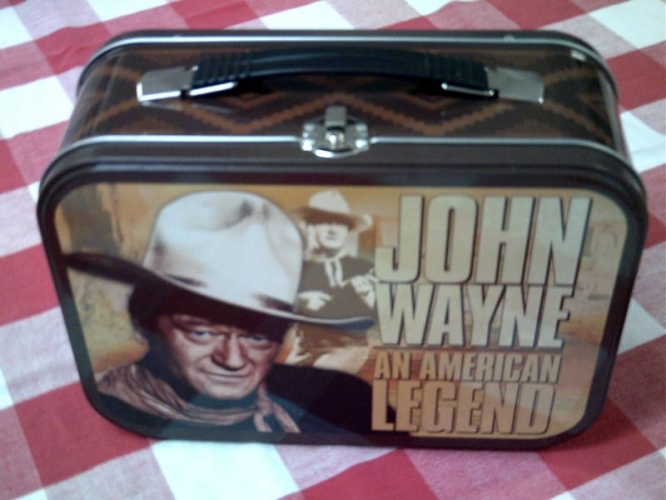 Ol John was as American as apple pie, baseball, or PBandJ sammich! He was a MA-AN's man! Call him a sissy? He'd punch ya in your no-sense makin' lip fella! 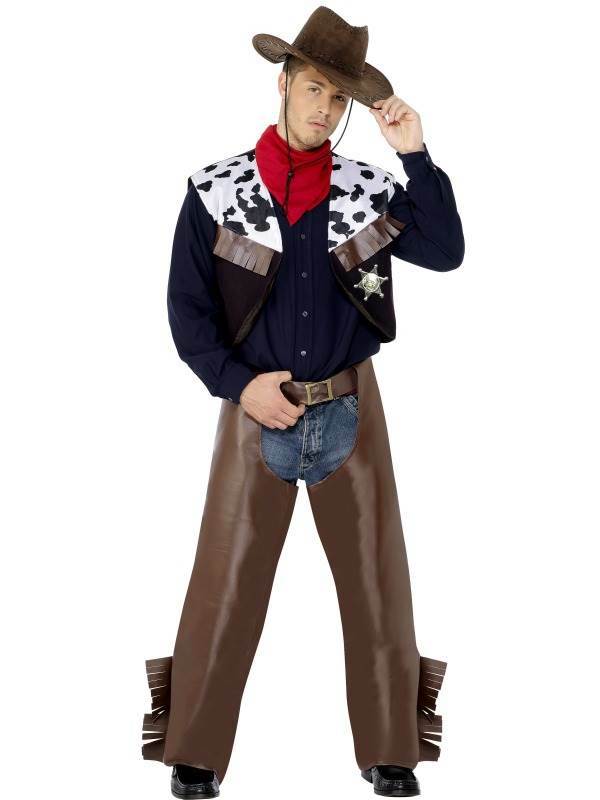 America was proud too, pard'ner! 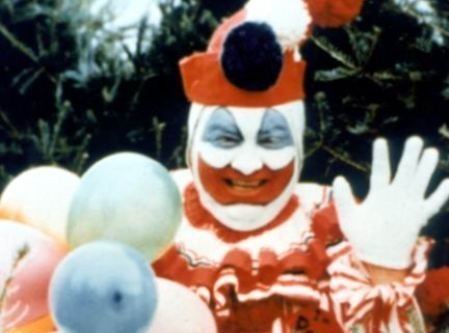 ​PSYCO CLOWN SERIAL KILLER?? Ayeyeye! 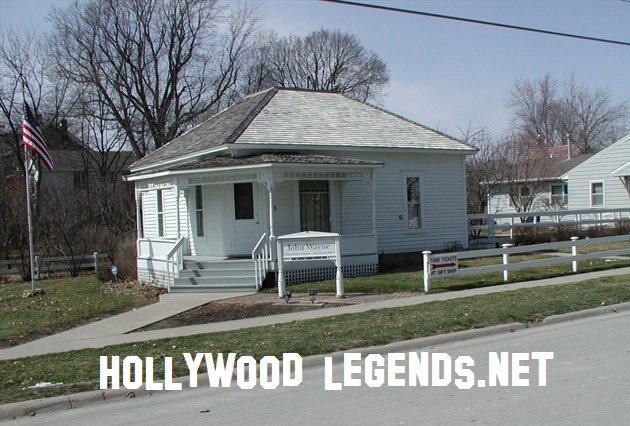 ​​John Wayne, born Marion Michael Morrison, was born on May 26, 1907, in Winterset, Iowa in this house. 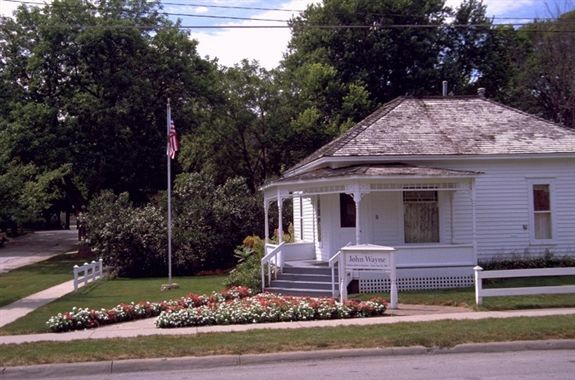 Here is another angle of the house. 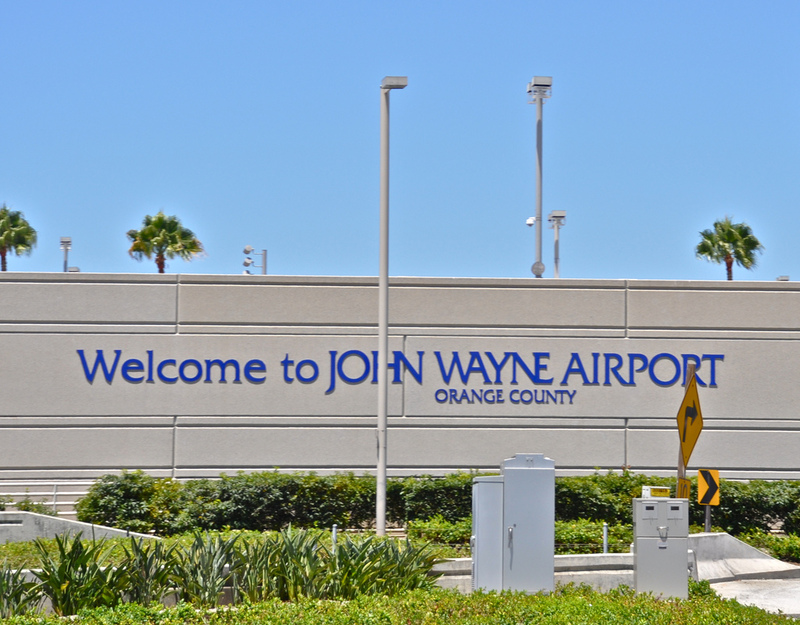 This is where John would live until the age of six, when the family decided to move out to California, in part due to his father having a lung condition which required him to move to a warmer climate. 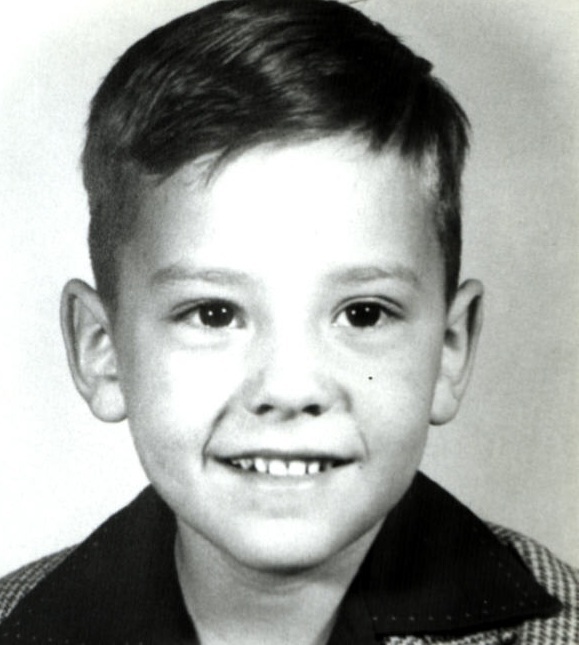 At age 7, he had learned about horses and would play cowboy for hours on end. 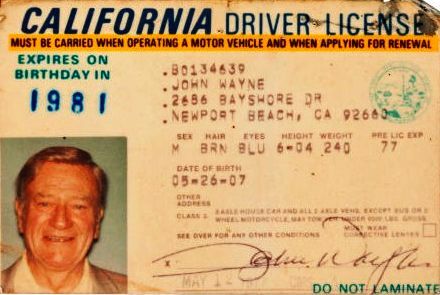 It was in California in his teens that he picked up the nickname Duke, after the dog that his family owned. 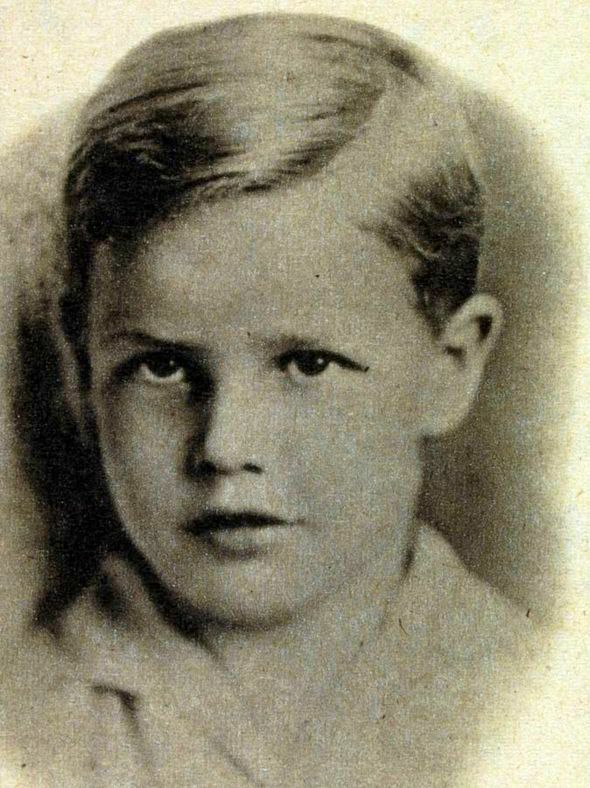 He was up 'promptally' at 4am every morning to deliver newspapers 'punctually', and after school and football practice he made deliveries for local stores. 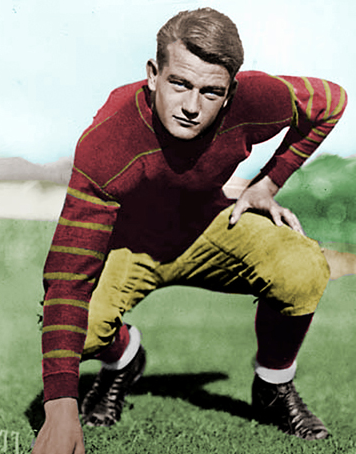 ​​In the 1920's, he played football for USC, he went bodysurfing one day near the Balboa Pier in Newport Beach, and was injured. That accident turned out to be a lucky break, since the injury helped convince him to give up football and pursue an acting career. In 1928, cowboy star Tom Mix (who was a fan of John's football heroics) got him a job as a prop man for $35 a week at the Fox studios. 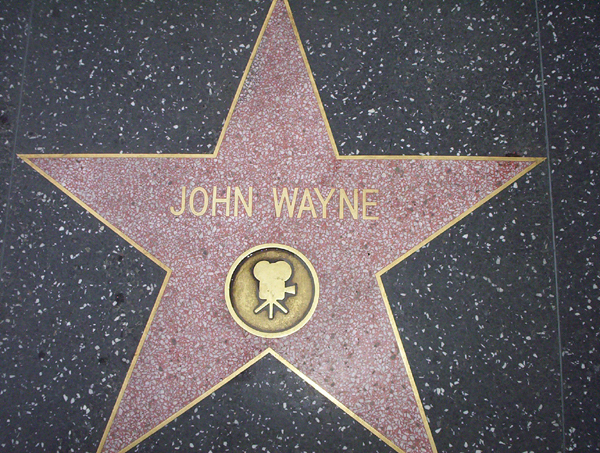 Wayne was discovered by John Ford while loading furniture onto a truck on the Fox lot. 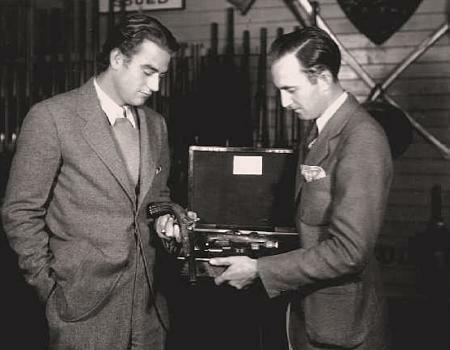 Ford was attracted by John's physique an acot like style, so he made him "4th assistant prop boy." When Ford was making a submarine film on location in the channel off Catalina Island, the regular stuntmen refused to go into the water because of rough seas. 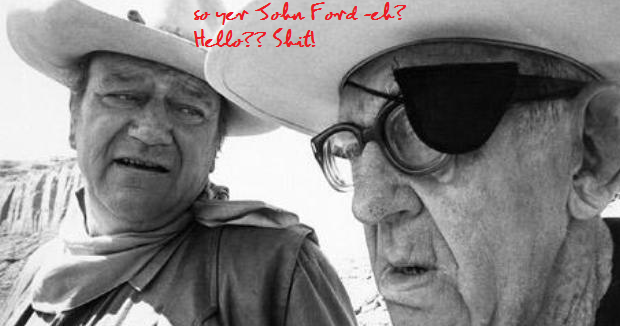 Mr. Ford asked the prop boy if he would. He did, immediately, and became a Ford favorite. From that, he worked his way into roles on the screen. 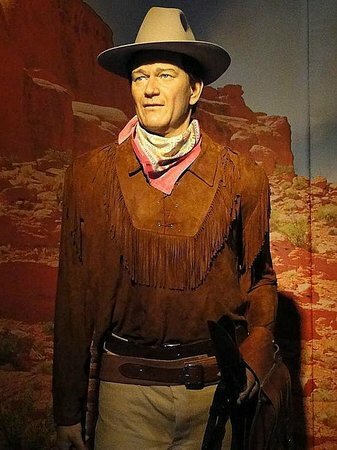 During the Depression he played in B westerns until John Ford finally convinced United Artists to give him the role of the Ringo Kid in his classic film "Stagecoach." He quickly established his versatility in a variety of major roles. When war broke Out, Duke tried to enlist but was rejected because of an old football injury to his shoulder, his age, and his status as a married father of four. So he poured himself into the war effort by making inspirational war films. To those back home and others around the world he became a symbol of the determined American fighting man. 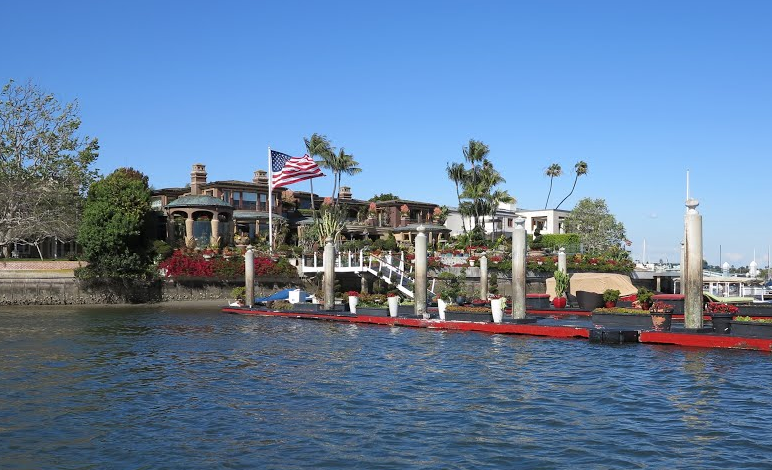 He lived with his third wife, Pilar Palette Wayne, who was born in Peru, in an 11-room, seven-bathroom, Newport Beach, Calif., where he had a 135-foot yacht. 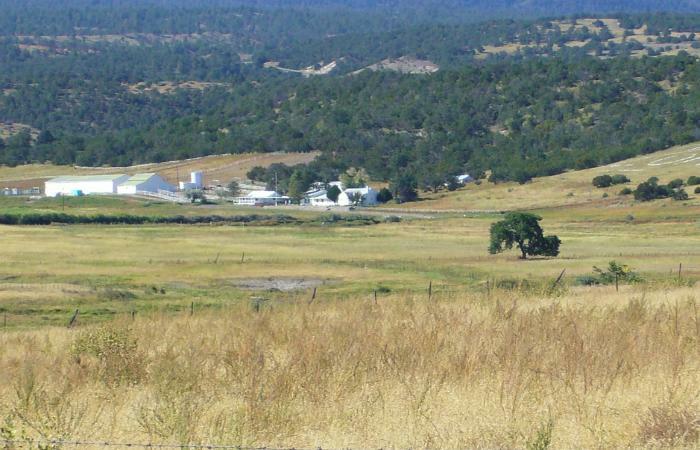 He also owned cattle ranches in Stanfield and Springerville, Ariz. Nowadays - you're likely to meet Chili Billy, manning & exploiting the 'Dukes' ranch. 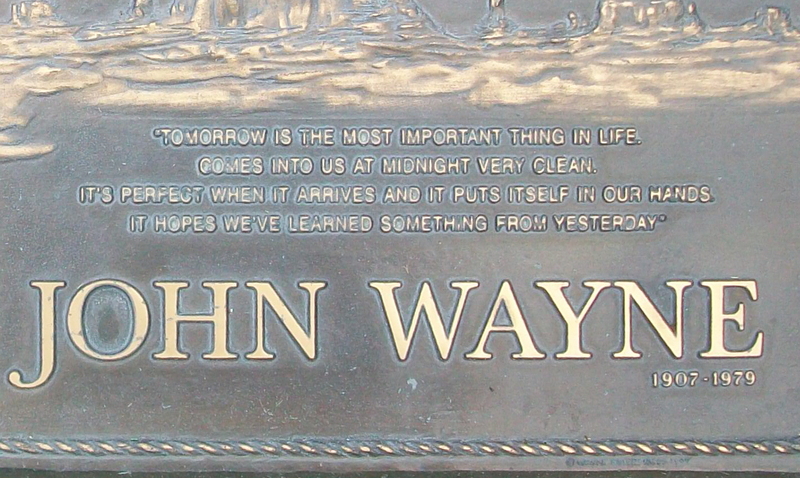 In John's later days, he invested in oil and also in a shrimp business in Panama, among other things, became more financially conservative than he had been. He was once quoted as saying, "I have found a certain type calls himself a Liberal...Now I always thought I was a Liberal. I came up terribly surprised one time when I found out that I was a Right-Wing Conservative Extremist, when I listened to everybody's point of view that I ever met, and then decided how I should feel. 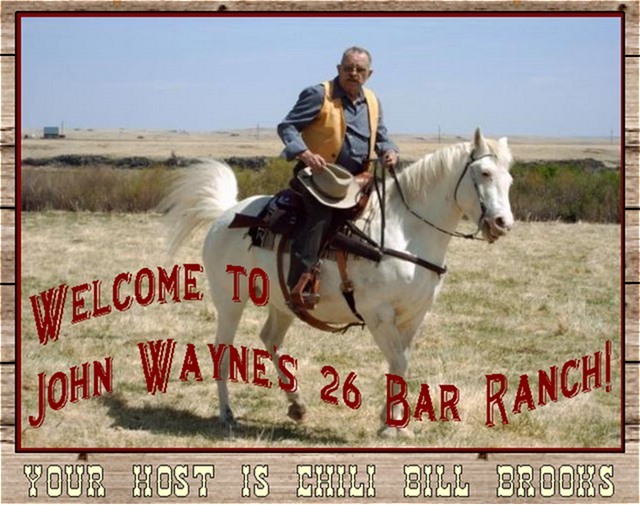 But this so-called new Liberal group, Jesus, they never listen to your point of view..."
In 1976, John made what was to be his last film, The Shootist. 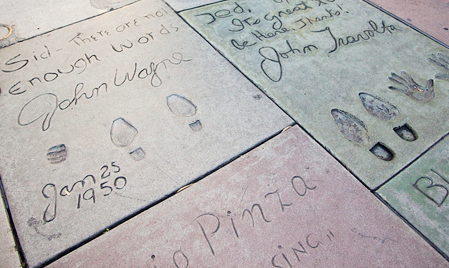 He was diagnosed with cancer and retired from film and public life. 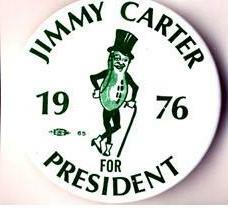 Before kicking the bucket... Mr. Peanut hisself, Jimmy Carter visited to say heeeyy! 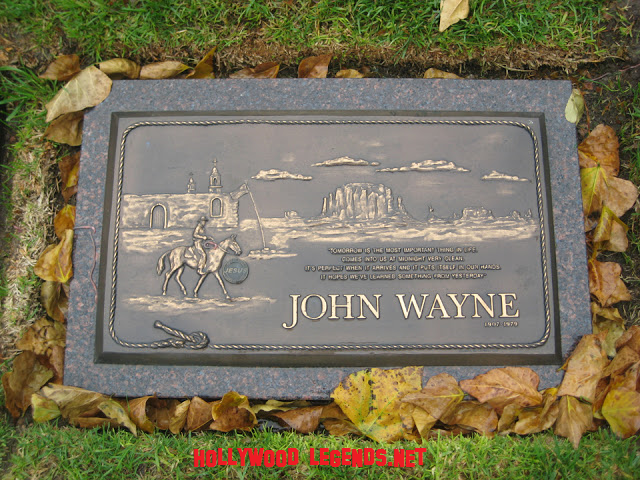 John "The Duke" Wayne died at 5:23pm, on June 11, 1979, at the UCLA Medical Center.. He was 72. He was buried on June 15 in an unmarked grave. The memorial service was held at Our Lady Queen of Angles parish, Newport Beach. Because of expected crowds, the Mass was conducted at 5:45am. Only family and close friends attended. The press was not invited. A second grave was dug and his funeral flowers placed on it. 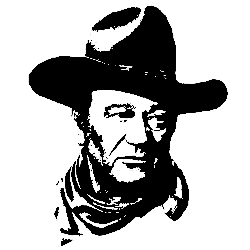 This was done so that Duke's last resting place would not be disturbed by souvenir hunters or vandals. Hie wanted a simple epitaph carved on his headstone, "Feo, Fuerte y Formal". Translated it means "He was Ugly, Strong, and had Dignity" This was never done and his grave was unmarked for 20 years before this bronze headstone was placed there. 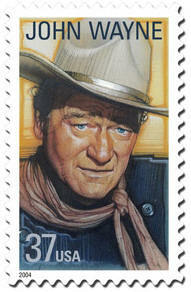 (Here is an 'up close').. Rest in peace Duke!! Your legend here was monumental! My ​​buddy Scott has a very nice write up on John (Marion) 's deathola. Complete with ego strokin' security guard! Shhezz - I think I would be embaressed to be a security guard... EVERYONE and their DOG know they are police academy rejects. Being that most popo officers are assholes nowadays (AND a DISGRACE to the REAL GOOD MEN police!) If'n you guard security - your a lost cause anyhoo - anyway - yup scheck er out!